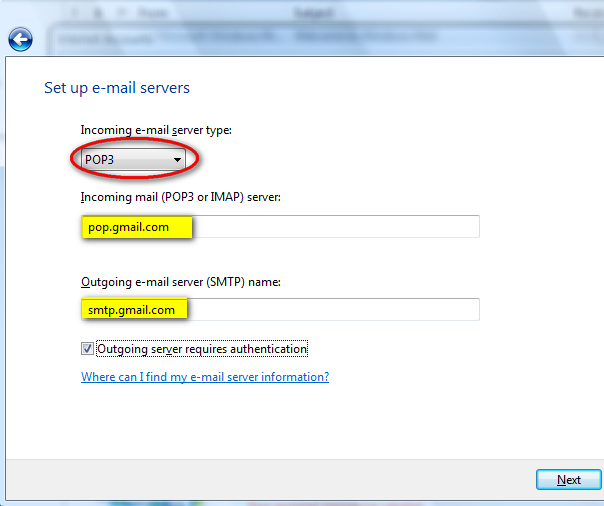 Before starting, please check if POP3 is activated for your Gmail account. To check, login to your account and go to Settings -> Forwarding and POP/IMAP. 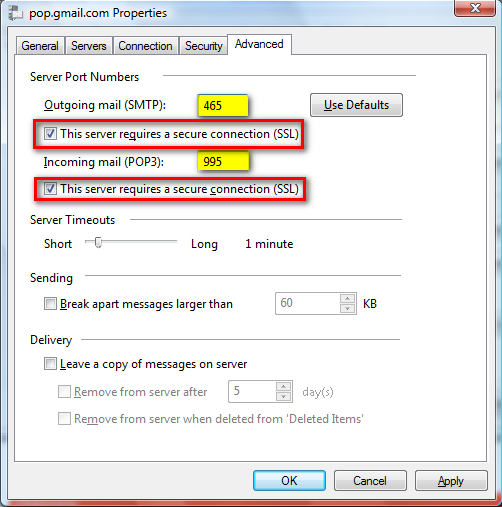 Now activate your POP3 service by selecting one of these two options: Enable POP for all mail, or Enable POP for mail that arrives from now on. First, start Windows Mail. Go to the Tools menu and then click on the Accounts button as shown in the picture below. 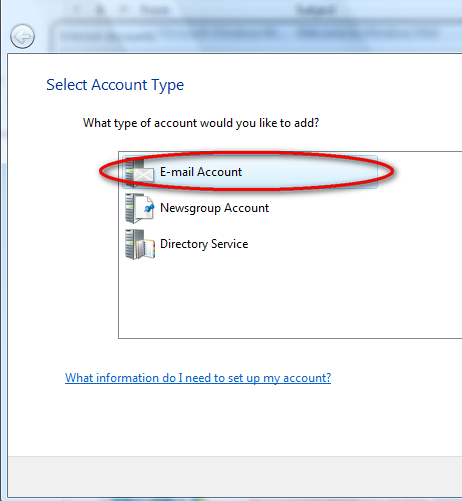 Select the E-mail Account option and click on Next. 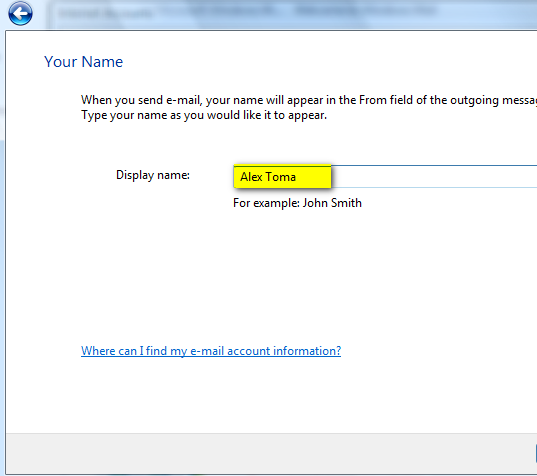 Next you can choose the display name that will be shown in every outgoing e-mail message. Type it and go to the next window. Now, you will be asked for your e-mail address. Type it and click on Next. In the next window you have to setup the e-mail servers. From the Incoming e-mail server drop-down list, select POP3. Then, enter the Incoming & Outgoing server names as shown in the picture below and check the Outgoing server requires authentication option. When you are done, click on Next. 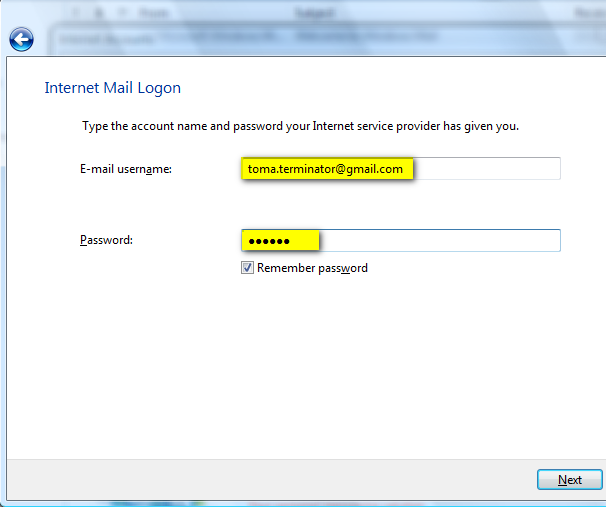 In the Internet Mail Logon window you have to enter your e-mail address and password. Also, for your ease-of-use, check the Remember password option and then click on Next. You are now almost done. 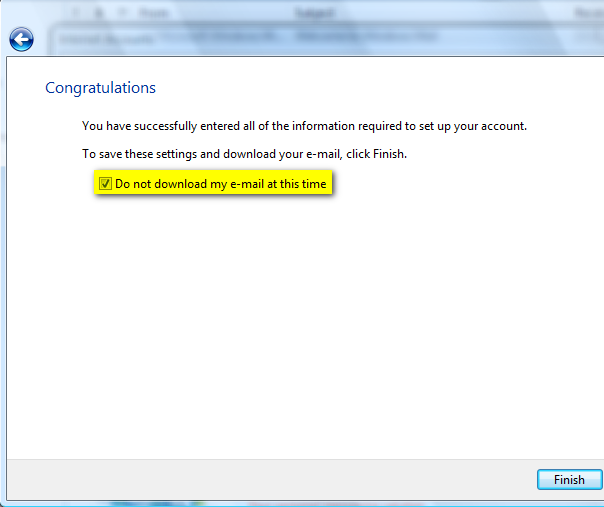 Check the Do not download my e-mail at this time option as you will have to make some other minor adjustments. Then, click on the Finish button. The Internet Accounts window should be opened. Select your Gmail account and click on Properties. Go to the Advanced tab and type 465 as the port for the SMTP server and 995 for the POP3 server. Also, please note that you have to check the option that says "This server requires a secure connection (SSL)" for both POP3 and SMTP. If you want your messages to be left on the Gmail servers as backup, then don't forget to check the option that says Leave a copy of messages on server. If you do not check it, when a message is downloaded it is automatically removed from the Gmail servers. 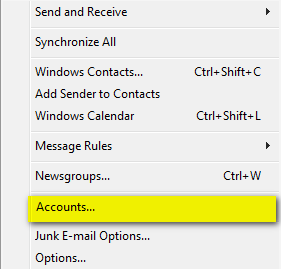 When finished, click on OK.
Windows Mail is now configured to access your Gmail account and download your messages. Press the Send/Receive button and the download will start. this helped out alot. thanks for the tut. Is that normal when sending a test email after setting up the accounts or does the test email suppose to show up in seperate inboxes for each account? If so, how do you seperate the accounts so that they have seperate inboxes? All the mail from all your accounts will show up in the same Inbox folder. If you want to have them in separate folders you will need to create some rules that move the e-mails to different folders. I just configured windows mail to download my mails from gmail and everything went perfectly well but i use a HP Pavilion Entertainment PC it has a finger sensor which i use to long on and it seems to be asking me to swipe my finger each time a mail is about to be downloaded. What do i do to swipe once and have it download all my mails without asking again and again? The following error appearing whenever I push send/receive button. The host 'pop.gmail.com' could not be found. Please verify that you have entered the server name correctly. Really appreciate the info. I wanted to stop using Thunderbird just because I wanted to start using the built in mail client in Vista which can backup my email instead of having to install a separate program. If you want separate folders then you should use Windows Live Mail, not Windows Mail? Thanks for the help that you have already provided in configuring Windows mail. I'll be glad if you could let me know how to get all the e-mails from gmail to Winodws mail. I could not download the old mails from my gmail inbox. Its inconvenient to open gmail each time i need to read my old mails. 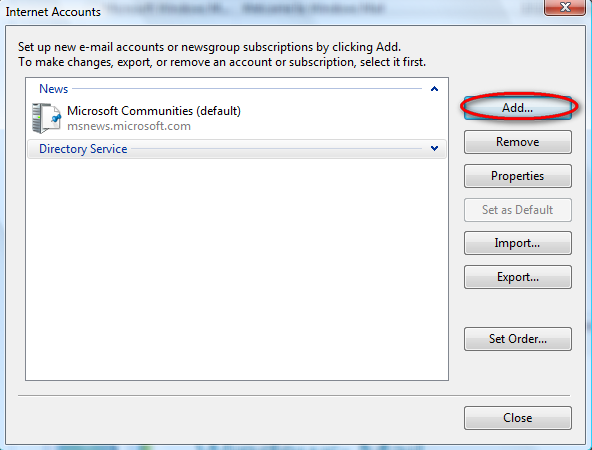 configuring windows mal for gmail. i'm accessing internet in college using proxies and I'm not getting windows mail configured for gmail. Bless you, whoever created this tutorial... thank you very much! You have just relieved my frustrations. thanks so much i would of never figured this out without your help, thanks again. Thanks .This was very useful !!! Wonderful explanation! Worked like a charm on the first try! I am able to send out mail via windows mail after configuring for gmail mail account but I am not able to receive mails from gmail Inbox. I enabled pop in gmail settings too. I did as per the steps mentioned in this forum. I am getting error message which I have pasted below. This is helpful, but it will not download messages except when I initially open the program. If I leave Windows Mail open no messages download. But if I close it and reopen it, then it downloads the messages. What am I doing wrong? wow! thanks! youve really helped me.. I have configured the yahoo(POP3) mails to Windows Mail, but the problem is whenever I click on Send/Receive, everytime mails downloading from begining. 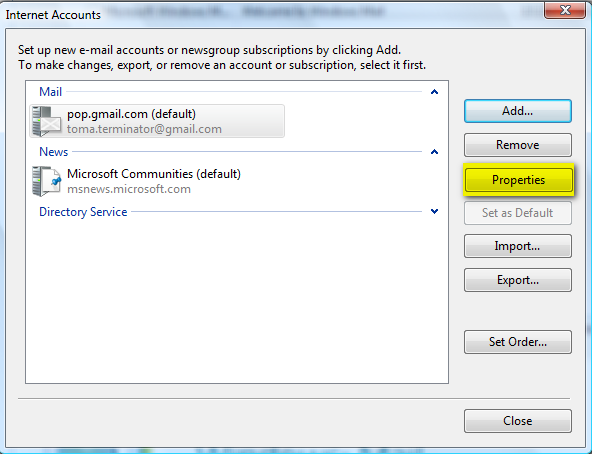 that means, If I click the button 3 tims, then each mail will be placing 3 copies in my Windows Mail? Can anyone suggest me on this? Thanks so much sir. You really helped me a lot. I was searching, looking, calling and asking people & places for the solution for the last 5months and was helpless.. I even prayed to give me the right person/place to search..and God gave me the answer!!! Thanks again..
A real tutorial and not a maze of links. Account: 'pop.gmail.com', Server: 'pop.gmail.com', Protocol: POP3, Server Response: '-ERR [AUTH] Username and password not accepted. ', Port: 995, Secure(SSL): Yes, Server Error: 0x800CCC90, Error Number: 0x800CCC92.. I've been using Windows Mail to get my Gmail for Months but it stopped working yesterday..HELP! I have the same problem sometimes when their servers don't work correctly. It can happen that you receive this error one evening and next morning everything is back to normal. Thank you so much for taking the time to make this infromation page! Thanks to you I got my e-mail up and running...... Finally! I was getting so aggravated because it was not working and the help section right in the outlook was not as thorough as your site. When i try to download my mails in windows mail from my google account pop3, only the recent received mails are downloaded, whereas mails recieved earlier are not downloading. i am missing so many of my mails. i have configured correctly and went through the process of configuring thrice, but no use. any suggestions. If you look in the first screenshot, you can enable POP3 for all e-mails or only for the recent ones. 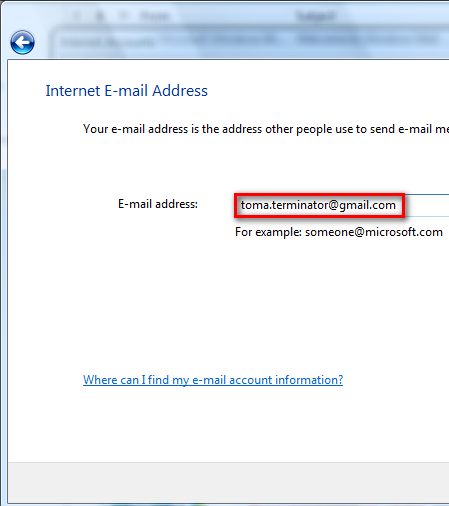 Make sure you enabled it for all e-mails. I have enabled it for all mails, one time all the mails are downloaded, but when i dont switch on the system for 3-4 days, all the mails received on these days are not downloading on the next day. The host 'pop3.gmail.com' could not be found. Please verify that you have entered the server name correctly. It gives you that error message because you wrote the wrong POP3 server.